Details on the story, characters, and new Canvas system. In case you missed it, the beloved Valkyria Chronicles series is making a grand return to the west with Valkyria Chronicles 4! Revisit a WWII inspired world with a refined tactical RPG battle system, rich painterly aesthetic, new ensemble cast of characters, and a captivating story about growing up on the battlefield. Although the Valkyria Chronicles 4 team has been super busy, we were able to ask producer Kei Mikami a few questions about his experience working on the newest mainline entry of the Valkyria Chronicles series. When did Valkyria Chronicles 4 begin development? Kei Mikami: It’s been about two years since the project officially started. It might be a little longer if you include the time our director, Mr. Yamashita, spent in the planning phase. What brought you back to the world of Valkyria Chronicles 4? Kei Mikami: The aim of this Valkyria Project is to expand the series on a global scale. We haven’t released a mainline title since Valkyria Chronicles 3 in 2011, so our goal from the beginning was to attract new audiences worldwide. Our overarching vision is to return to the original Valkyria Chronicles’ roots, while building on improvements from the rest of the series. Valkyria Chronicles 4 is the culmination of everything we’ve learned up to this point. We began setting the groundwork for this project with Valkyria Chronicles Remastered for PS4. Our intent was to let fans experience Valkyria Chronicles’ origins and core gameplay on a next-gen console before moving forward with a brand-new numbered entry to the main series. What inspired the story, characters, and setting? Kei Mikami: Valkyria Chronicles 2 and 3 were both released exclusively on PSP, which was a very prolific console in Japan. Their themes, therefore, catered to our Japanese audience, such as a schoolyard environment or a fantastical special ops team. This time we decided to return to the first game’s grounded military setting. As such, we moved away from super soldiers with extraordinary powers. Instead you’ll find characters who are more like people you could see yourself meeting in everyday life. We gathered reference material by studying countless records of the troops who participated in World War II. In doing so, we learned about soldiers who never lost hope, even in dire straits. Perhaps it was their youthfulness that allowed them to hold onto that positivity. These tales of soldiers whose dreams were crushed by the stark realities of war, only for them to stand back up and face that reality head-on, affected our team on a deeply emotional level. What makes Valkyria Chronicles 4 different than the rest of the mainline series? 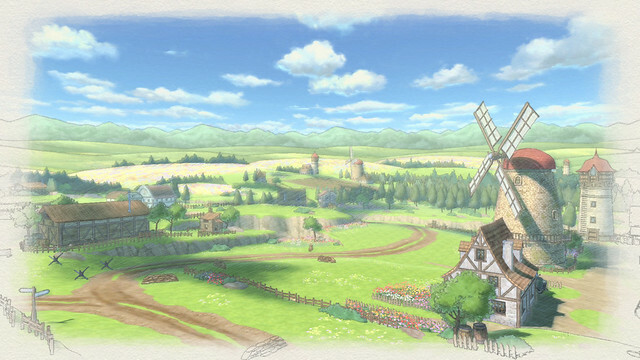 Kei Mikami: The first Valkyria Chronicles games focused on the small country of Gallia. This time around, the world itself is expanding to reveal an epic story that covers the full scope of the Second Europan War. We recreated a world history loosely based on the frontlines of the Eastern Theatre and want you to experience a different side of the Europan conflict. How did the war impact other continents? What lies beyond the Gallian front? Discover the global impact of EWII through the mechanical improvements and narrative innovations of our latest creation. What’s new about the Canvas system? Kei Mikami: New hardware allowed us to repaint the gorgeous visuals you know and love in a whole new light. In order to amplify Canvas’ hand-drawn, watercolor aesthetic, we deepened the shadows to make its colors pop. We also added real-time environmental effects — like footprints left in the snow, or heatwaves warping the air around you — to give the sense that you’re actually there in person. Valkyria Chronicles 4 will be available on PS4 and will come out in the Americas and Europe in 2018. I could not be more excited for the sequel to one of the top 3 PS3 games. I hope the dub as good as the first game’s. Very much looking forward to returning to the series’s roots! Any chance at all of bringing 2 and 3 to home consoles? Awesome to hear! I haven’t heard anything about 2 and 3, but hey there’s always a possibility right? Super excited about this! Loved the first two VC games. Have been itching for a new one ever since. THANKS!!! Well, there was a third Valkyria Chronicles but they never released it in the west.^^ Let’s hope that changes and we will get to play the third one too in the near future. as somebody who’s done reviews for you guys in the past I would like to know Is there any chance that we can get valkyria Chronicles 2 and 3 as a PSN release for PS4 to catch people up on the series instead of reading up on the games on Wikipedia and fan sites. I haven’t heard anything about 2 and 3 on PS4, but it’s good to know that people want that to happen! Valkyria back to form finally. Finally Valkyria coming back to consoles as it was supposed to be!! When can be expect news on Special Editions, release, etc? This announcement just made my day, day one purchase. I supported this franchises best I could, with the exception of Valkyria Revolution. That game just didn’t excite me. Like many others have said and will continue to say please localized Valkyria Chronicles 2 and 3 to the PS4, Switch, and Xbox One. I would love to have an official way to play Valkyria Chronicles 3 in the US. Wait a minute, does this mean Atlus is handling the localization? Not surprised if that’s the case, after Valkyria Revolution. Deep Silver did not retweet any news about VC4. Woo, glad it’s going back to tactical rpg. Can’t wait for some gameplay, hope it lives up the the originals. Yes, thank you this is the game fans have been waiting for thank you for choosing to localize! I second what has already been said and would like to see a port/localization of Valkyria Chronicles 3 since I never had a chance to play it. Exactly what I was waiting ever since I played the first one in PS3 and later Steam, looking forward to more info in the coming months, can’t wait for release! Can’t wait to play this one on the Nintendo Switch ❤ !! This kind of games are perfect for play any time and everywhere!! Great sequel to a game with much deserved love. Will we ever get VC2 and VC3 remasters too? This is a Day 1 buy for me. Valkyria Chronicles in the top 3 best JRPGs of last gen. This is returning to that greatness and I’m glad for it. I will also echo the cry for remasters of Valkyria Chronicles 2 and 3. They need more widespread attention, especially 3 since it never left Japan. Is there any chance for a Vita version? Please bring the limited edition to the West as well! Wish I were rich to buy the same game twice, but it’s not the case. Replied in the wrong place, and there is no option to delete. The way this comment section works should be reconsidered. Valkyria Chronicles Remastered is tied with Tales of Berseria for best game of this generation for me and it’s technically not even from this generation. I’m extremely excited about VC4 after playing VC Remastered. I’m just hoping 2 and 3 get remastered so I can the full taste of the VC story and world. Back to the main staple gameplay like the remastered edition hopefully. Nothing like the spin off Revolution..
Can’t wait for this, I hope there’s steelbook special edition or steelbook launch day edition like the first (remaster) game. Valkyria Chronicles was one of my favorite games from the last generation. Glad to see it make a return to home consoles. Got a lot of expectation riding on this one! Valkyria Chronicles was one of the best tactical game I’ve ever played in my life (and I love the genre). I did not play the ones on PSP, as I’m not a fan of portable gaming, but I will Platinum this one, you can be sure it’s a pre-order!! Just take all my money! So happy to hear about this. I played Valkyria Chronicles on the PS3, watched the anime, got 2 of my friends to buy the game. Then when it was released on PC, I bought it again. Watched the anime again with my wife, and we played the game together on the PS4 when it released. I am really looking forward to playing Valkyria Chronicles 4. I really love the art style of the games. It is one of the prettiest art directions out there to me. I also want to second the opinion that we need Valkyria Chronicles 2 and 3 re-released. I played 2, but unfortunately my Japanese is so basic there was no way I could play 3. I would like to have all of them. I remember when Valkyria Chronicles first came out, demo of the gameplay was fun but did not emphasize the main selling points of VC which was the story and characters. This series is very similar to fire emblem in this regard and I love it. 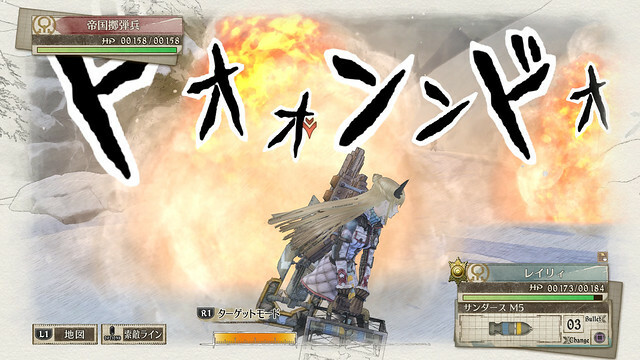 I am plying for Valkyria Chronicles 3 to comes out in the west. I played that game and love the story, characters, and gameplay and will gladly buy the game at full price. In my opinion VC 3 is the best in the series not only with a strong story, but well developed cast and development on each character which the original did lacked in that department. With the recognition on VC being a great game by being introduce to many players via steam, it would be a great option to release the previous games, which are well received, to both further introduce the world of VC, but to boost the sale of this game. Japanese people love to assume that “Western” audiences won’t like games like VC2 and 3. FALSE. Honestly it’s because of the costs of importing them or putting porting them to PS4. Sadly it’s all about the money, but it’s also understandable. In the meantime we get garbage like Knack 2…..that makes as much sense as a sequel to Custer’s revenge. Actually it’s not about the money but other interests like “catering to the japanese audience” and forgetting everyone else. The first game sold solid but they wanted better numbers in Japan and they thought they would get this with a handheld game. While handheld is big in Japan it’s not so much in the west and the PSP always had the issue with the micro sd cards and the myth that there weren’t any games, so Valkyria Chronicles 2 didn’t sold as good as before and they decided to not bring the third game in the west at all. The result: it didn’t made the money and they didn’t released another Valkyria game for six years. In reality many bsuiness decisions by japanese developers are pretty poor and ignorant, which is why you have situations like these where a game series is finally saved the moment they open up and release it on PC instead of sticking to the home market and a single platform. Valkyria Chronicles 3 needs to be remastered, it certainly wasn’t catering to the japanese audience (I mean even highschool setting is beloved around the globe, just look at Persona/Shin Megami Tensei) and in the end Valkyria Chronicles 3 was the best of the three Valkyria Chronicles, especially in the design department. Imca is best girl! While 4 looks a bit boring, especially the main character. But still, Valkyria Chronicles is finally back, really looking forward to it. Well, at least for a PC version. I mean honestly, Steam saved the series, SEGA even thanked the PC gamers for it. Great News, Valkyria Chronicles series still alive, althought was disappointed by Valkyria Revolusion……. Valkyria 3 Unrecorded Chronicles is one of my 2 favorite games, and Valkyria Chronicles 3 is best game in the series… so i hope VALKYRIA 3 UNRECORDED CHRONICLES will have HD REMAKE someday,..
No PS Vita version? I skipped on the Vanargand Edition of Valkyria Revolution since it wasn’t available for PS Vita, which is the version I bought. Valkyria Chronicles 4 interests me, but nowadays I tend not to buy any PS4 games at full price. I will have to wait and see more about it before I decide to buy it. I also want to request for the remaster for the original Valkyria Chronicles to also come to PS Vita. I bought it for PS4 since I fondly remembered playing it on PS3, but quite frankly I hardly play anything other than Destiny 1 on my home console nowadays, so my copy is basically just there gathering dust. Another thing: while Valkyria Chronicles 2 is playable on PS Vita, I can’t quite figure out how to get the PSP DLC to my PS Vita. Any suggestions for that? Finally, and as others have already requested, please bring Valkyria Chronicles 3 to the west. From what have heard it seems to be a much better game than Valkyria Chronicles 2, which I like, but can understand why many consider it the low point in the series. And as you imagine, I want to request that it’s also released for PS Vita, which should be a good fit given the PSP format of the original release. BY FAR – the most exciting game of 2018! Valkyria 1 was one the most enjoyable games I have ever played. Possibly my favorite ps3 title. Really looking forward for an English dub with the quality of the original and higher. Shadow of Collossus, God of War and Valkyria Chronicles 4 – PS4 lineup looks pretty good here! But these news are simply truly exciting!! When can we expect a game play video ? Re special editions. I’m not normally one for satues in game boxes but if you produced a really nice LARGE polystone diorama of the tank and the main characters I would readily stump up the cash….. seriously…. gimmy…. now!!! Please make sure to launch with PS4 SUPPORT 60FPS and 4K! New generation players have no idea of what really matters in a game, it seems. Fantastic! Please take my money. You can have more money for VC3!